For others, there's concern about the safety of the vaccine. But dozens of studies confirm it's safe. Finally, consider this: Canada, Australia, the U.K., even Rwanda have HPV vaccination rates nearly DOUBLE ours. Writing in the Journal of Epidemiology & Community Health they conclude that dog walking: "may have considerable potential to support the maintenance of physical activity in older adults and could form part of exercise on prescription schemes." Delays are being blamed on cytology labs struggling to keep staff as the screening process is replaced with another - which will need fewer staff. A cervical cancer charity said waiting for results is "an anxious time". This workshop convened cancer researchers, patient advocates, and representatives from industry, academia, and government to discuss challenges with traditional approaches to drug development, opportunities to improve the efficiency of drug development, and strategies to enhance the information available about a cancer therapy throughout its life cycle in order to improve its use in clinical practice. Pediatric MATCH is a separate trial for children and adolescents ages 1 to 21 who have solid tumors—including non-Hodgkin lymphomas, brain tumors, and histiocytoses—that no longer respond to standard treatment or have recurred after treatment. The Penn researchers were disappointed that their CAR-T treatment didn’t produce meaningful tumor shrinkage in the glioblastoma patients in their trial, although one patient did show stable disease at 18 months and has maintained that response. Apart from new tools, the use of genetically-modified cells has experienced an increase thanks to the clinical experience with CAR-T cells and related products in cancer immunotherapy. 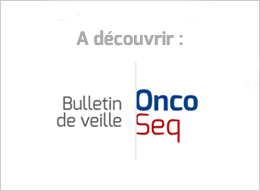 SGN-LIV1A to be Investigated in Combination with Atezolizumab as Part of Initiative for the Development of Novel Cancer Immunotherapy Combinations. Merck didn’t provide a lot of details, but this is the latest in a series of setbacks in the field that have begun to show the outer limits of efficacy for a new class of cancer med that has transformed oncology therapy in the past two years. The drug, which blocks a mechanism tumors use to hide from the immune system allowing it to recognize and attack the cancer, won accelerated U.S. approval last August for these patients based on its ability to shrink tumors. The data, while bad enough to sink the mesothelioma monotherapy trial, haven’t prompted Bayer to pull the plug on the rest of its anetumab ravtansine clinical development program. The applications are under review with an action date of March 5, 2018. Results demonstrate equivalence in objective response rate in patients with advanced non-squamous non-small cell lung cancer. Effector’s lead drug candidate, eFT508, targets two related signaling proteins that dampen an anti-tumor immune response. By blocking these specific proteins, however, Effector expects to unleash the body’s own immune system to fight cancer. The biotech’s lead drug is eFT508, an oral inhibitor of MNK 1 and 2 kinases that play a role in evading an immune system attack. About a month ago Pfizer, Merck KGaA and eFFECTOR signed off on a collaboration to fund a split Phase II study that will test a combination of their two therapies against colon cancer with a monotherapy arm for eFT508. To determine whether mega-mergers benefit patients, we looked at what happened to research and development productivity in all of the major mergers going back to 2001, including the last big wave in 2009 that brought together Merck & Co. and Schering-Plough, Pfizer and Wyeth, and Roche and Genentech. The site is a valuable resource for information about obtaining access to an investigational drug through an expanded access program, but it also offers a great deal of useful information about participation in clinical trials, which is the preferred option. First Bristol-Myers Squibb immuno-oncology approval for adolescents 12 years and older reflects the company’s commitment to the pediatric cancer community. And there's little sign of a slowdown. The price of branded prescription drugs in the U.S., at invoice level, increased at double-digit rates from 2012 to 2015. The hike was more than 9% in 2016, according to the report. What we’re talking about is the clinical development process and how long does it take to actually go through the clinical trial requirements that FDA either imposes, or sort of steers toward, in order to demonstrate safety and efficacy to satisfy the regulatory process and increasingly satisfy companies’ commercial prerogatives too. The statement provides a series of recommendations to address each of these outlined needs, with a particular focus on guiding investments in cancer health disparities research. Homeopathy is one of the most controversial subjects within the healthcare system and NHS England has outlined its stance by proposing cutting funding to the medicine. Beyond this, other over-the-counter (OTC) treatments, such as cold and flu medicine, would also no longer be available on prescription as part of NHS England’s action plan. New guidelines mean homeopathic remedies and 17 other items will no longer be prescribed, for reasons ranging from low clinical effectiveness to low cost-effectiveness. Freenome is using machine learning to root out biological signals of cancer from DNA fragments in the blood. Many scientists say that Matlosz’s management created serious tensions within the ANR, including administrative choices that upset senior scientists and those who served on grant-evaluation panels.